← a September stock-take and an October onslaught. grow the ministers, not the ministry. By the time I return from Perth, I’d have arrived at my two-year mark in full-time ministry. Time has passed remarkably fast but it feels like I’ve been doing this my whole life. There’s so much to thank God for in my short pilgrimage as a youth pastor. 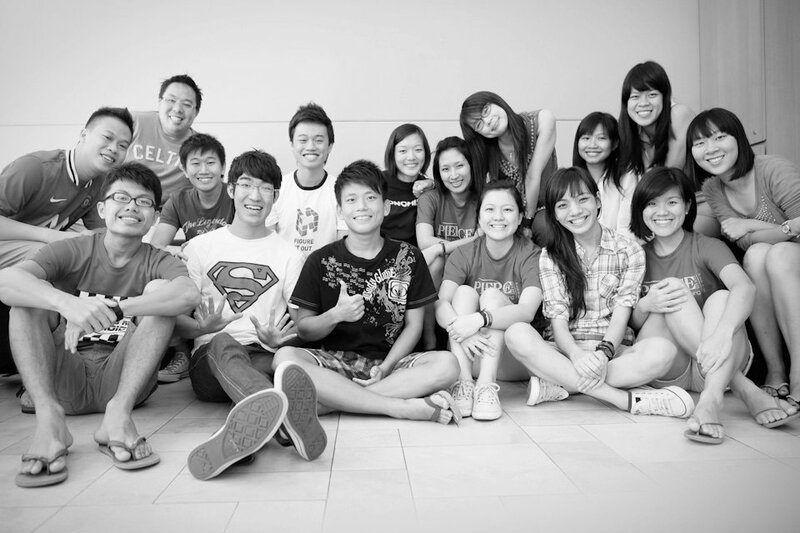 At the turn of 2009, Ps Ronald gave me the awesome privilege of leading R-AGE@GII. When I took over the reins, the ministry was hovering around the 70 pax mark on average. Today, by the grace of God, He has grown the quality and the quantity of R-AGE@GII to around 120+ pax every week. Praise God for His faithfulness! Many pastors, parents and peers have been kind towards me; they are generous with their encouragement and commend me often enough on the work that they see happening among the youths in Grace II. Time and again, I will accept their compliments and thank them for it but deep down in my heart I know I must bring it before the Lord. In my time with God, I ask Him not to let me believe my own hype and I make it a point to be the first to discredit myself. The Lord showed me two things which I believe will govern the way I approach accolades. Firstly, it is the Lord who blesses (as well as takes away). Every victory and defeat in ministry comes as a result of His will and not because we have worked hard. God alone decides for Himself when the ministry will grow, stagnate or decline. His timing is always perfect and His ways are always higher. As we continue to serve Him, let us remember that it is God who makes all things possible, not for our glory but for His alone! Secondly, the Lord reminds me that He doesn’t just use one passionate pastor, but a team of dedicated leaders. Yes, I’ve matured through how He’s been developing my talents and gifts, but the growth of the ministry cannot be supported by just the point man’s growth. The Lord reminds me that the ministry has the platform to grow because its leaders are growing. As I type this entry at the airport lounge, I can’t help but to imagine in my mind’s eye the nervous faces and timid countenances of some of my leaders when they started with me; these fresh-faced shepherds looked afraid, unsure and blur – they had no idea what was coming their way! But take a look at them now… Confident, assured and more ready than ever to take on any challenge that I would throw at them. Their attitudes have been sharpened, their faith increased, their competences leveled up, their heart for the youths have grown, their leadership confidence has soared… And I could go on and on. I am immensely proud of them… Indeed the Lord is good to those who serve, love and fear Him. First, (if I may borrow Ps Edmund Chan’s words,) take care of the depth of your life! A growing minister is always better than a stagnating one! Next, give your priority to investing time, energy and resource to growing the next generation of leaders. If they grow individually, your ministry naturally grows collectively. Finally, always remember that it is the Lord who enables and holds all things together by His grace and power, for His glory and honour alone. You can’t do it on your own, no matter how exceptionally talented you may be! Posted on October 5, 2011, in Affirming Faithfulness, Attempted Provocation, Forever Young, Leadership Lessons, Mentoring Minutes, Retrospective Reflections and tagged Edmund Chan, full-time ministry, GII Shepherds, Grace Assembly of God, Perth, R-AGE@GII, Ronald Yow. Bookmark the permalink. Leave a comment.